The EU strongly condemns the attempted coup in Turkey and reiterates its full support to the legitimate institutions of the country. It deplores the high number of casualties and stands in solidarity with the Turkish people. The EU welcomes the common position of the political parties in support of Turkey’s democracy. The EU calls for restraint to be shown by Turkish authorities, including by the police and security forces. All must be done to avoid further violence, to protect lives and to restore calm. The EU calls for the full observance of Turkey’s constitutional order and stresses the importance of the rule of law prevailing. It is crucial to ensure full respect for all democratic institutions of the country including the elected government and the Turkish Grand National Assembly. The EU underlines the need to respect democracy, human rights and fundamental freedoms and the right of everyone to a fair trial in full compliance with the European Convention for the Protection of Human Rights and Fundamental Freedoms, including Protocol 13 on the abolition of the death penalty. In this context, the EU recalls that the unequivocal rejection of the death penalty is an essential element of the Union acquis. 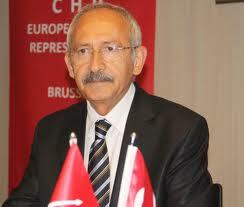 Turkey is a candidate country and a key partner for the European Union. The EU remains committed to working together with a democratic, inclusive and stable Turkey to address our common challenges.